Sahar Samara performing her unique style of Saidi. 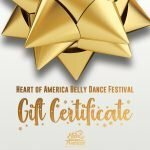 Sahar’s first time to teach and perform in the USA was at Heart of America Belly Dance June 23-25, 2017. Sahar is a protégé of Aida Nour, her style is unique and she blends both classic and modern in her Oriental performances and her folkloric repertoire is breathtaking. She began her professional dance career in Sharm El Sheikh Egypt as a member of Tito’s folklore troupe. Soon she was a popular soloist and she was prompted to move her career to Cairo. 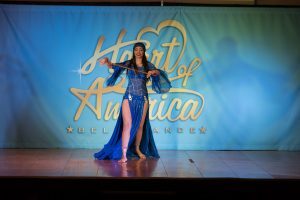 Sahar is the star dancer at the Blue Nile River Boat located in Zamalek, the entertainment center of Cairo.